Matin Roshan is an Analyst at Quantum Capital Partners where he focuses on underwriting and due diligence for debt and equity transactions. 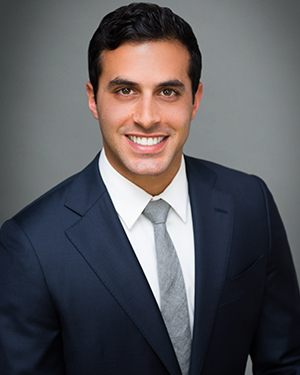 Prior to joining Quantum, Matin was at Canon Business Properties where his primary duties included property management, leasing, and market research. Before working in real estate, he was a sales manager at Laguna Fabrics, a wholesale fabric supplier for apparel companies. Matin was born and raised in Los Angeles and attended Brentwood High School. He holds a B.S. in Biology from the University of California, Santa Barbara.